7'x14' is the bed size not the frame size. 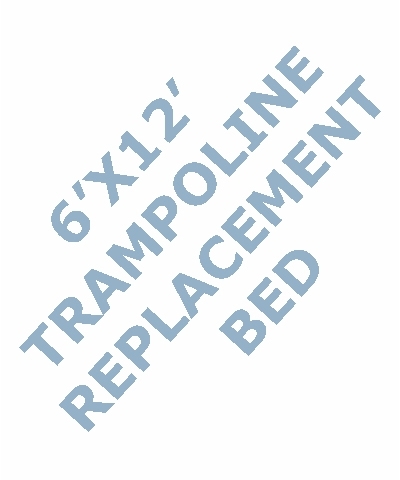 The 7x14 Trampoline Replacement Beds are available in 3 types-Single Poly, High Performance and Rebound white 2 string. 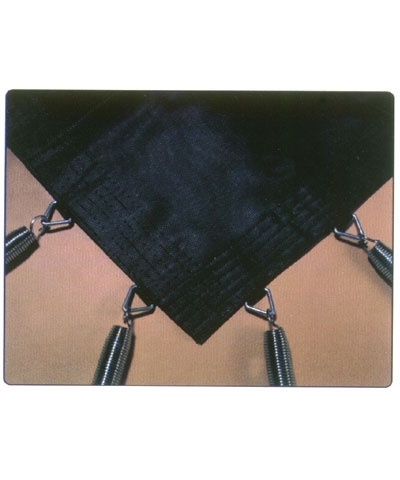 The standard Single Poly bed is a tight weave of polypropylene yarn and has 108 bed bars or spring attachments-18 spring hook ups on the ends and 36 on the sides. Add $45.00 shipping. The High Performance bed is a looser weave of polypropylene yarn which allows more air flow, providing a better bounce. 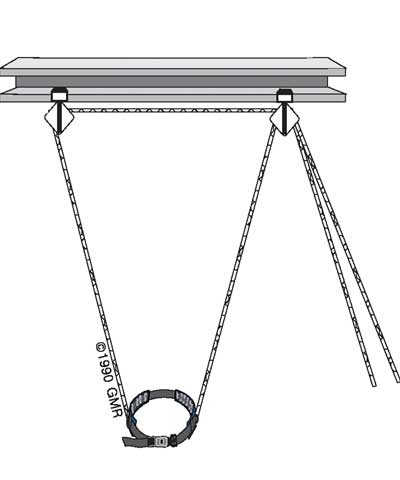 The HP Bed has 108 bed bars and 4 corner rings which require 2 springs each-a total of 116 spring hook ups. The bounce of the HP bed is between the standard single poly bed and a string bed. The HP High Performance bed is for gym club use only and will not be sold for home use. Add $45.00 shipping. 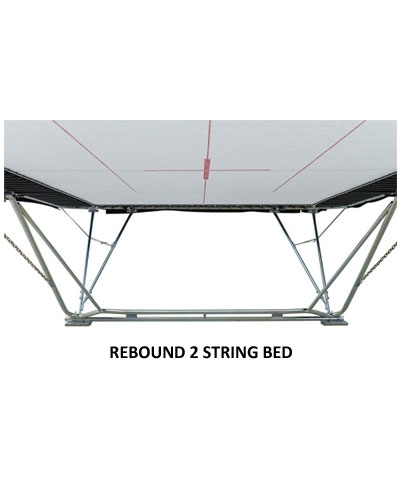 The White Rebound 2 String, bed is a top of the line string bed that will last approximately 12 years. The bed has a 1/4" weave spacing and is coated with a specially formulated acrylic paint and includes visual markings painted in red. Includes 19 spring hook ups on each end and 37 spring hook ups along the side-a total of 112 springs. This is recommended for use with high level athletes and top competitors. This string bed will last approximatley 12 years vs. 2 years for a sewn web bed. ﻿Please include your Federal Tax ID number in the note section when placing the order - it's required for customs. Add $175.00 shipping. 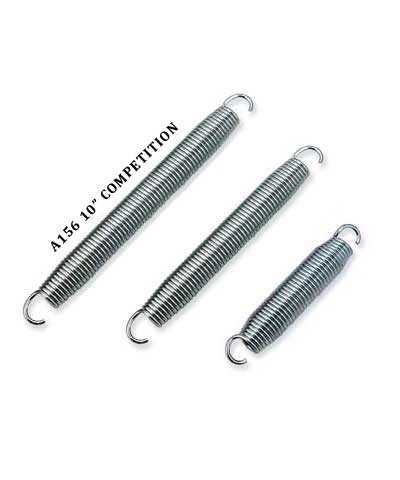 A 40" clearance under the bed is required when using 9" springs and a 48" clearance is required when using 10" jumbo springs.